If you’re looking for a VPN for Betfair there can be a lot of misleading information out there. In this guide we’re putting that right and putting that misinformation to bed once and for all. We’ve been researching the best VPN services for use with Betfair and have whittled it down to five of the best. All you need to do is choose one of the following five VPN providers below and you’ll be able to use Betfair anywhere in the world with no problems. IPVanish is without a doubt the first provider you want to look at when choosing a VPN for use with Betfair. They have one of the fastest services we’ve tested so regardless of where you are in the world you’ll be able to access Betfair without an issue. One of the best features of the service is they have 6 server locations across the UK. This allows you to select a server closest to your home location which is less likely to raise suspicions with Betfair. 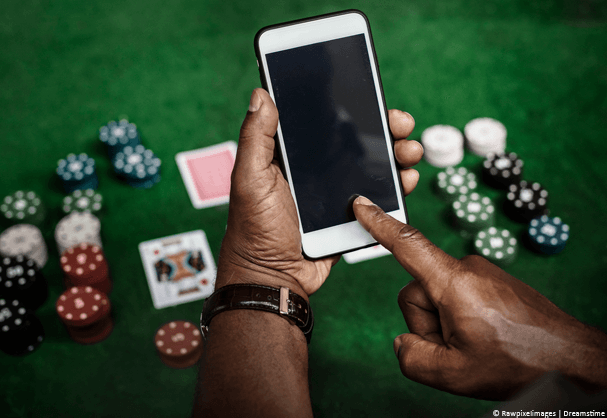 Apps and software are available for all major systems including Android, iOS, Windows and Mac so whatever device you usually access Betfair on you’ll be able to continue to access it while abroad. The service also has a large range of servers and IP Addresses which means it’s relatively easy to get yourself a new IP Address which lowers the chances of someone else already using it on Betfair. StrongVPN is one of the cheapest VPN providers suitable for using with Betfair which is definitely one of their standout features. If price is your main consideration then StrongVPN certainly tick that box. Another one of their positive points is they also have a great selection of UK server locations. In fact, there are 7 different locations across the UK which make them one of the biggest in terms of UK server locations. Overall StrongVPN doesn’t have many worldwide locations which is one of the negative points but if you only want a VPN to access Betfair or other content from the UK then this isn’t really an issue and you can save money in the process. There’s also a 5-day money back guarantee which will allow you to test the service and if you find it just isn’t for you then you can get a refund. ExpressVPN has servers or virtual servers in up to 94 different countries which is one of their main selling points. They also cater for the UK well with 6 different server locations. Just like the two providers above this gives you plenty of scope to connect to a server location in the UK to access Betfair. Our favourite feature is definitely their huge 30-day money back guarantee that will let you try the server to see how you like it for accessing Betfair and if you find it isn’t for you then you can get your money back. Software is available for both Windows and Mac computers and there are also apps for iOS and Android allowing you to access Betfair on a range of devices. Cyberghost VPN have a good selection of VPN servers in the UK, in fact, they have over 122 individual servers in the UK. They also have two locations across the UK in both London and Manchester and while not quite the selection of the other providers the number of individual servers more than makes up for it. One of the best areas of the Cyberghost service is they’re really easy to use so if you’re a newcomer to VPN use they may just be slightly easier than any of the other providers. Betfair works fine with the service and we noticed no issues when using it. However, we would recommend one of the earlier services first, but if none of them take your fancy Cyberghost is certainly a good choice. 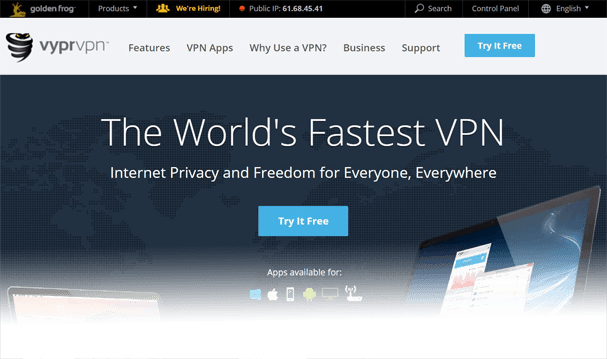 VyprVPN round up our selection of VPN providers for use with Betfair. Without a doubt the standout feature of the service is the completely free 3-day trial. You do need to enter your payment details to take advantage of the free trial but as long as you cancel before the three days expire you won’t be charged a thing, that’s if you want to cancel of course. The apps and software are also some of the easiest to use we’ve seen so coupled with the 3-day trial they make a beginner’s dream and will have you accessing Betfair with ease. All you need to do now is select one of the 5 providers above, any will do as they’re all suitable for use with Betfair. Sign up and then download the correct app or software for your device.